Posts: 2345 Who's been to Scotland? I HAVE!! And possibly going back?? My boss has worked with AECOM and highly recommends the firm. It's a longshot, but hey, I think I have the basic qualifications. If you count my first "real" job after my Masters as being at South slough Reserve (1992-1993), I've been doing aquatic science for over 26 years. So, why not, especially with a professional connection to the company that might provide me an in? Posts: 2468 I'm pretty sure there are no yellow perch and smallmouth in Scotland. 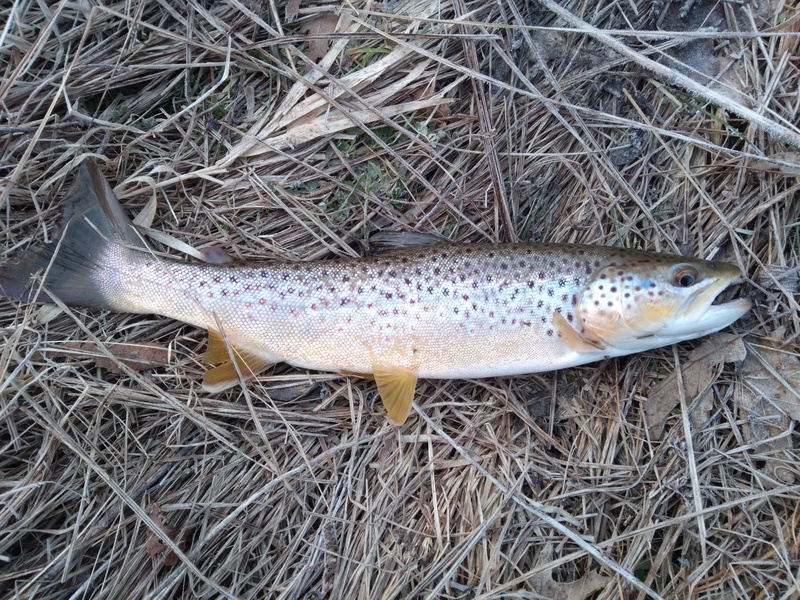 Also almost all the streams, creeks, rivers are held in private hands and it is doubtful you will be able to fish any unless you are willing to pay a daily beat fee. I guess you could still fish for barbel, chubs, and carp. I've had a number of friends go over there to fish and they had excellent trips for trout in terms of variety of stream types, fish size, etc. It is true, I guess that most access has to be purchased. But in the case of my friends, most of the fees were very reasonable, cheap even. As in all day (or perhaps even multiple day, I forget..) access to a HQ wild brown trout fishery in the northern highlands for what was about the equiv. of 15-20 bucks US. So, there may be a lot of potential there after all and after a few reports back, we may all may be wanting to come stay with you for a few days..:) Who knows? Good Luck however it works out for you Jonathon..
Posts: 2345 Oh Matt, you're my favorite curmudgeon. There are perch in England, along with zander (the European equivalent of walleye) and pike (same species even). 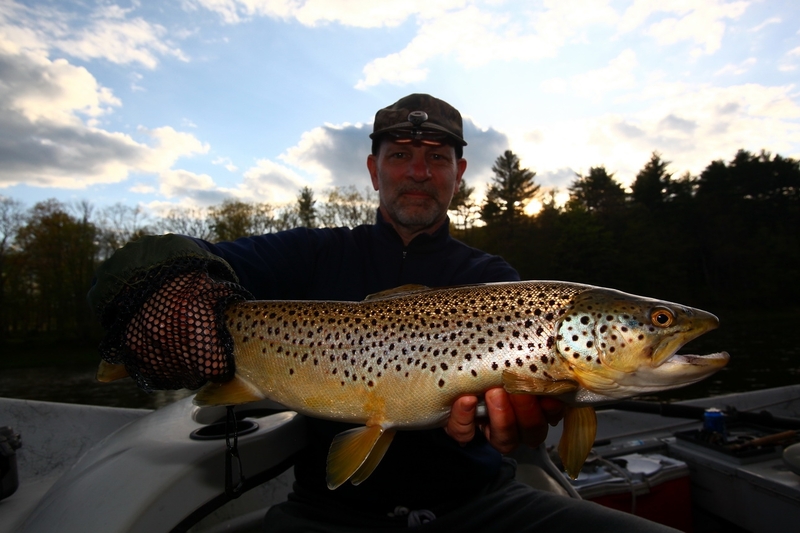 Not to mention brown trout, which occur in streams, lakes, and sea-run forms, plus Atlantic salmon and arctic char...and there are PLENTY of lakes for this kayaker to explore! Guys, I have no idea where I am going to end up. I got called back to work and I am heading out for the field shortly for a wetland delineation - yes, in the snow! Just so long as I land in an interesting place with some interesting people & fishing opportunities, and a good job with a good salary, I'll be just fine. P.S. No matter where I go I will always have guest accommodations for wayward Troutnuts. Posts: 2871 Keep us posted, Jonathon! Posts: 137 I'd go back if I wasn't married. My user name for this forum is Scottish Gaelic for fisherman. The rivers in the Highlands are similar to what we have in the Rockies. The trout in the rivers are not all that big, but in lakes/lochs the rainbows that they stock get big. A 5wt is recommended. But rainbows in Scottish rivers don't breed very well. Yes, many parts of rivers are private, but ghillies do have permission to fish them with clients for a rod tax fee, along with a daily license. There are rules on how some of the property owners want you to fish. 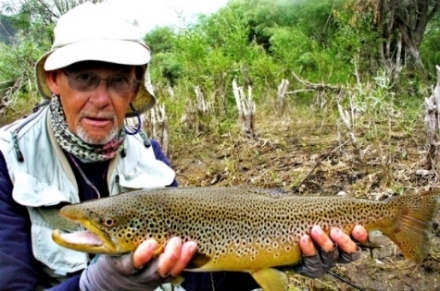 Some private waters only want you to fish with dry flies and casting upstream only. The reason for the rules and rod fees are because the property owners are the ones who steward the fish. They pretty much pay for stocking and must see that the fish thrive. Is it affordable? Yes. But if you are going there to live, it would be highly advisable that you join a fishing club. This will give you access to many fishing areas. It's really different there than it is here, but it can be enjoyable once you learn the ways of fishing there as in the regulations. Oh, by the way, there are seasons for different species of fish, so you want to keep that in mind as well. Grayling fishing in the winter can be fun too. Good luck, and enjoy yourself there. Lots of exciting history you can learn about as well. It's beautiful there in it's own way. Very mystical and magical too. And it's the only place where you can get some proper haggis. On a serious note barbel fishing is very popular in streams in England that may, or may not, have trout. I did some research on it long prior to your post and practitioners have specialized tackle for them, often center pins, and they can get to very respectable sizes and I imagine fight quite well. Posts: 2345 Thanks for the info and well wishes, guys. Just got back up north after visiting family and friends "down below" (Troy & the 'burbs). Wearing a stylin' black zipper-neck sweater my friends Joe & Susan gave me, gave them a stack of old vinyl LPs (early Elvis Costello, Devo, Iggy Pop, Frank Zappa, etc.) & Joe 3 boxes containing a total of 112 flies I bought before I started tying my own (pretty much all in mint condition). My very latest plan is to downsize my lifestyle and financial burden, and move to a smaller place in Tawas. The Affiliated shop is there, I do the .22 indoor pistol league at the clubhouse there, and Nordic Sports is there, which sells fly gear (& x/c skis & mountain biking stuff &...), so I'll save $ on gas too. Plus, I will then be close to Tawas Bay, Tawas Lake, Tawas River, and the Au Gres river system, which are all new places to explore. While exploring them I will be shotgunning the job market to see what offers I can conjure up, and which one of them would suit my desire for a FINAL JOB and NO MORE MOVING!! I'd stay here if I could make a living, so I need another location that has the vast majority of what this one has. Oh, and also even closer fishing, and/or a very dark open backyard for astronomy...and NO LAWN SERVICE. I swear my windows are going to fall out when they come around!! Scotland? ALWAYS a possibility, it's a beautiful country, I love the accent and the culture, and there's fishing and nature close at hand. Been there! Would love to go back...stay tuned. Posts: 209 Happy New year Jonathon and all other troutnuts here! Sounds like a pretty good plan, although being closer to the sporting goods store maybe a little risky. 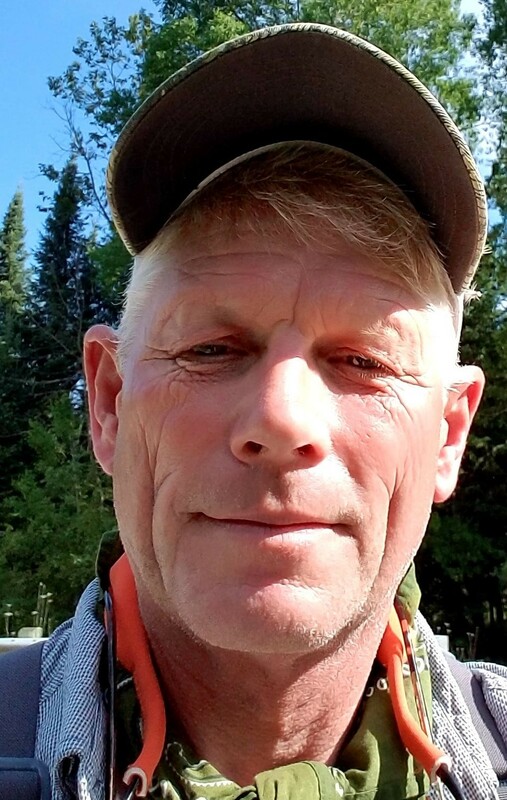 Just kidding, I hope things work out up there for you, I wish I could talk my wife into moving upnorth, but with the grandkids down here that aint going to happen. 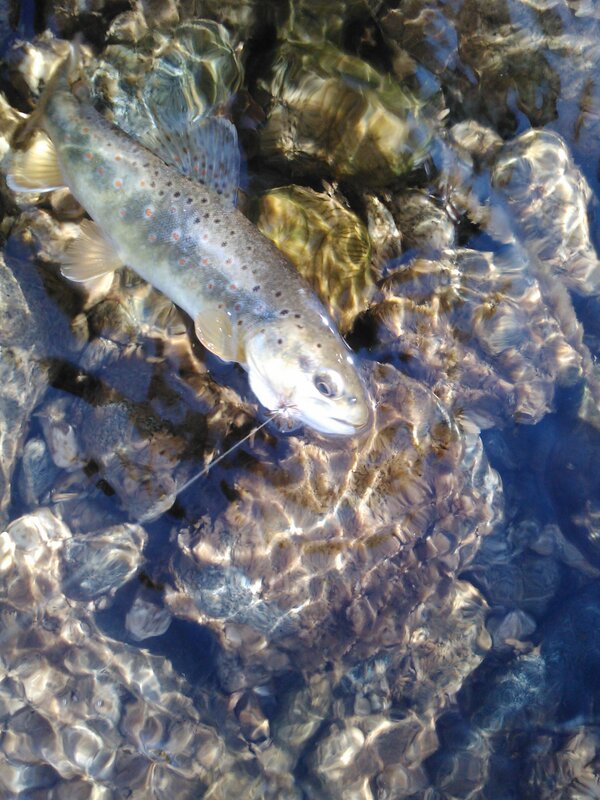 I do hope winter continues like this, and no surprise snow storms just before the trout opener. I have to get going on the vice and maybe look at adding a rod to the quiver.